I am happy to extend to you an invitation to the Alabama Nature Center's annual Christmas at Lanark program. This is a family-fun event offered to our home school families on Tuesday December 5th and Wednesday December 13th. 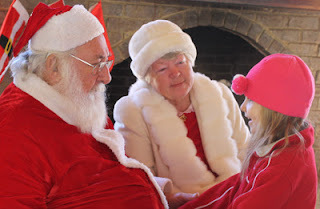 Each program is 2 hours long and includes a candy cane hike, story and photo time with Santa, Christmas ornament making, snack time, and a sleigh ride (hayride) through the woods. Tickets are $8 per participating individual, RSVP required. See below for session options and ticket links. Also note that the program is offered on Saturday December 9th as well, from 9am-5pm. General admission ($5) applies for anyone ages 4+, no RSVP required. If you have questions, please call Dolly Williams or Tyler Harris at 334-285-4550 or respond directly to this email.